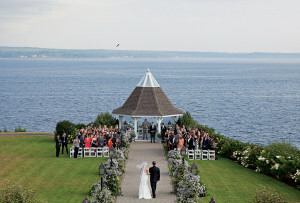 When it comes to your wedding, it’s all about location, location, location—and stunning vistas, of course. Whatever your style, these city venues are guaranteed crowd-pleasers. By Anne Vickman·	 7/2/2013, 4:32 a.m. 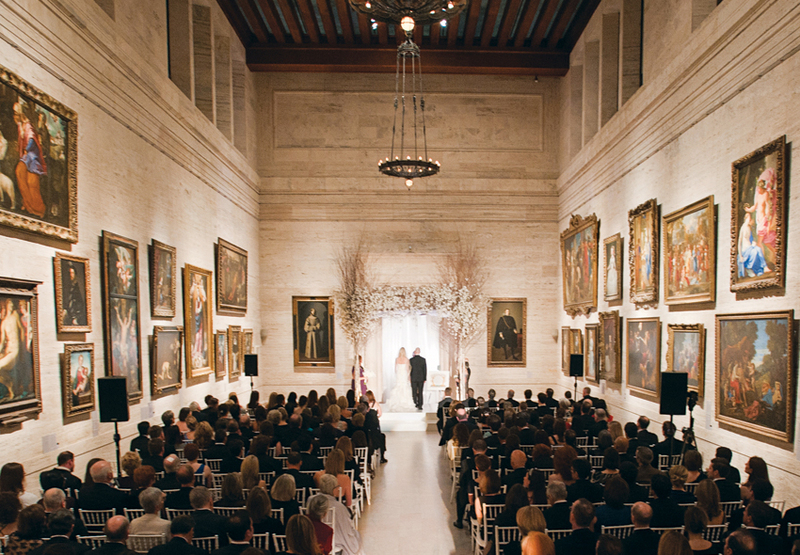 If art imitates life, what better stage for your big day than the 600,000-square-foot Museum of Fine Arts? A variety of galleries and spaces can accommodate groups big or small: Hold your ceremony or cocktail hour in the newly renovated Koch Gallery, which features a state-of-the-art sound system, opulent silk-damask walls, and 16th- and 17th-century French and Italian masterpieces by Rubens and Poussin. A reception in the glass-encased Shapiro Family Courtyard, meanwhile, gives guests the chance to dance the night away next to Dale Chihuly’s spectacular Lime Green Icicle Tower. The only caveat? Couples (or their parents) must be a part of the Director’s Circle—which requires a $30,000 donation—to host a wedding at the MFA. 465 Huntington Ave., Boston, 617-267-9300, mfa.org. 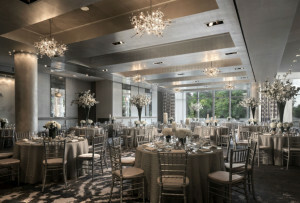 With floor-to-ceiling windows overlooking Boston Common—not to mention views of the State House and the Parkman Bandstand— the Ritz’s majestic ballroom offers an urban twist on the classic fairy-tale fete. Catch the sunset beneath crystal chandeliers (designed to look like the ones Hans Harald Rath created for the Metropolitan Opera House in 1965) before feasting on dishes like seared salmon with shaved fennel and lemon-dill butter. Request the VIP car service to the airport the next morning to keep the magic going. 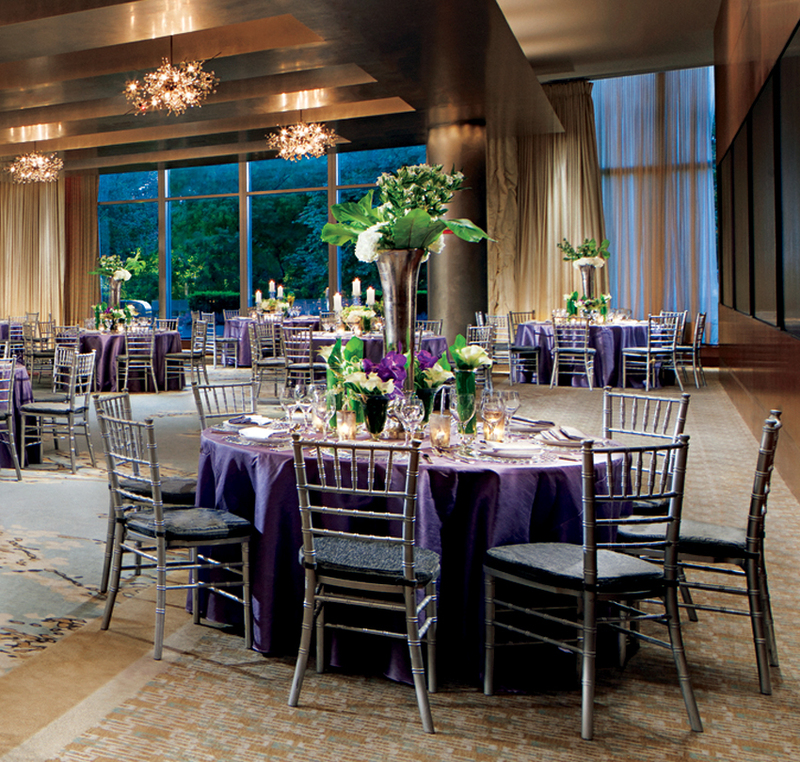 $185–$215 per person, 10 Avery St., Boston, 617-574-7100, ritzcarlton.com/boston. Hit it out of the park on your big day with a reception at Fenway’s luxe EMC Club, which features 12-foot windows overlooking the entire field and the Citgo sign. Snag a few photos in the dugout (when available) before enjoying cocktail hour—complete with playful passed hors d’oeuvres like mini Fenway Franks and lobster rolls—in the club’s covered outdoor seating area. For dinner, on-site chefs serve up more than just ballpark food, offering elegant entrées such as filet mignon with morel-mushroom sauce and New England crab cakes. The best part of the evening? Seeing your name in lights on the scoreboard. 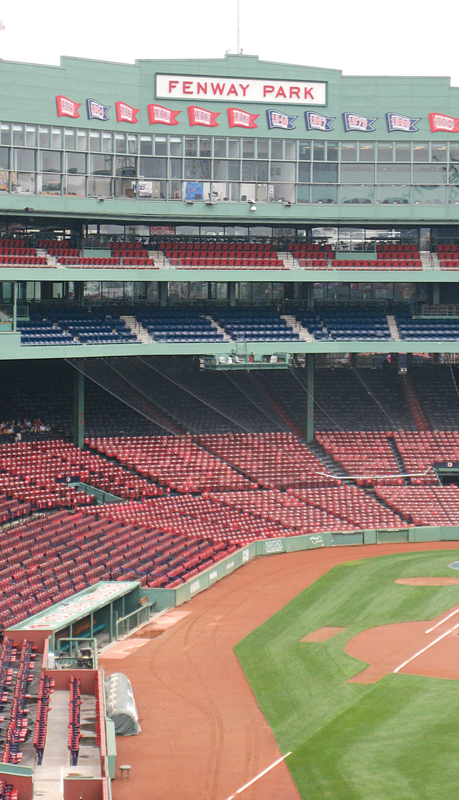 $125–$175 per person (site rental starts at $4,000), 4 Yawkey Way, Boston, 617-226-6791, redsox.com/events. 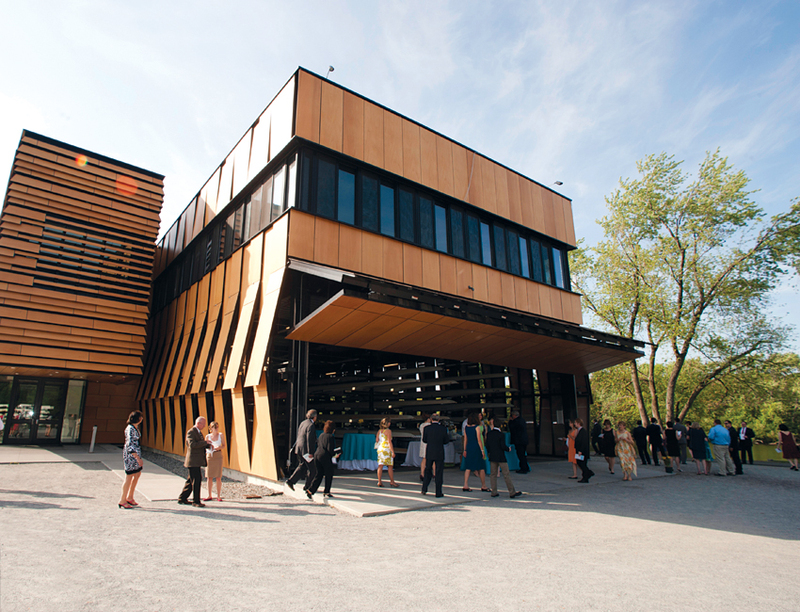 This public boathouse does double duty as a sleek spot for riverside celebrations. Architecture buffs can take in views of the building’s undulating exterior—inspired by tobacco barns—while enjoying cocktails and hors d’oeuvres outside by the Main Boat Bay. Once inside the boathouse’s community room, guests will be treated to a wall of windows offering majestic wide-angle vistas of the river. Green couples, take note: Natural ventilation and geothermal heating are but a few of the building’s environmentally friendly features. And with a large portion of the wedding fees going to Community Rowing’s outreach programs, pairs who say “I do” here will be making an impact in all the right places. $3,000–$5,000 for site rental, 20 Nonantum Rd., Brighton, 617-779-8264, communityrowing.org. Private dining rooms are typically tucked away in the remote corners and basements of restaurants—not the best backdrops for a celebration. 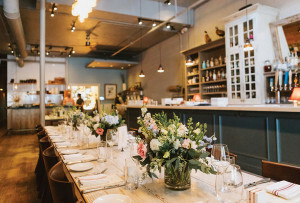 The event space at the Liberty Hotel’s Scampo, however, gives guests a front-row seat to the culinary action, offering glimpses of chef Lydia Shire’s bustling open kitchen. Start with cocktails and passed appetizers on the outdoor patio before sitting down for eclectic, Italian-influenced dishes like Wagyu beef with taro-root purée and buttermilk-fried onion strings. Saturday celebrations are limited to brunch, with menu options such as huevos rancheros with tomatillo salsa and crispy pork belly, and lemony risotto with Florida rock shrimp. Hosting a bigger party? The entire restaurant, which seats 150, can also be rented out. 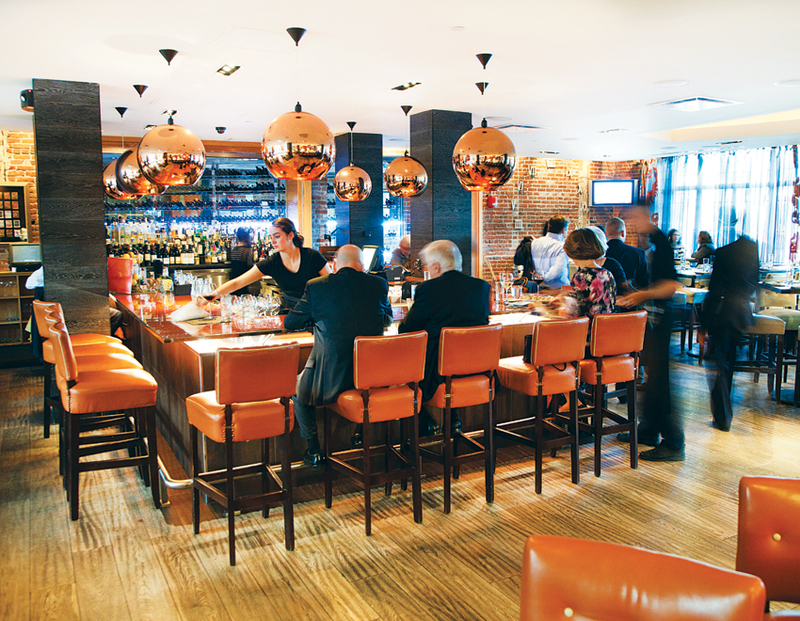 Private dining room rental starts at $4,000 (full restaurant rental starts at $20,000), 215 Charles St., Boston, 617-536-2100, scampoboston.com. 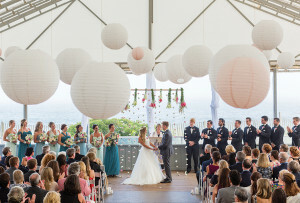 Does your dream wedding include dramatic panoramas of the Boston skyline? Look no further than the tented roof deck at the Taj. The cosmopolitan venue on the hotel’s 17th floor has plenty of art deco flair—think black-and-white checkered floors, damask carpeting, white aluminum Chiavari chairs, and mirrored credenzas, all complemented by some of the best eye candy in the city. Custom menus, meanwhile, run the gamut from casual (a mini burger station) to formal (lobster risotto and filet mignon). 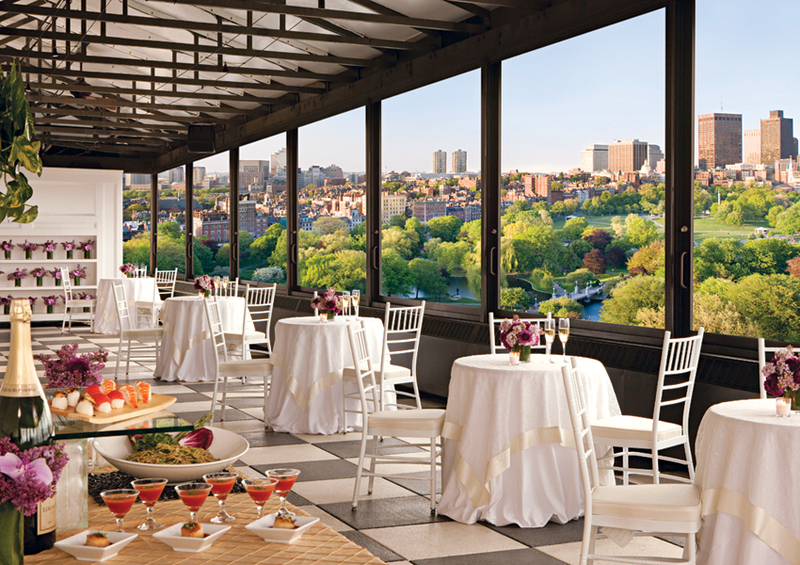 $140–$240 per person, 15 Arlington St., Boston, 617-598-5250, tajhotels.com/boston.